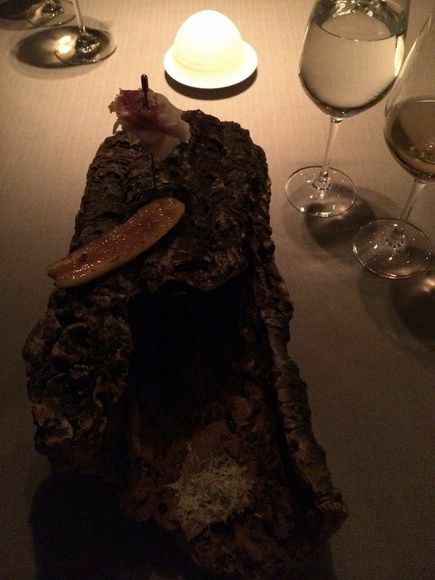 Grace immediately 'wowed" us with the Amuse-Bouche: multiple food delights that we could forage for 'on and in' a hollow log! 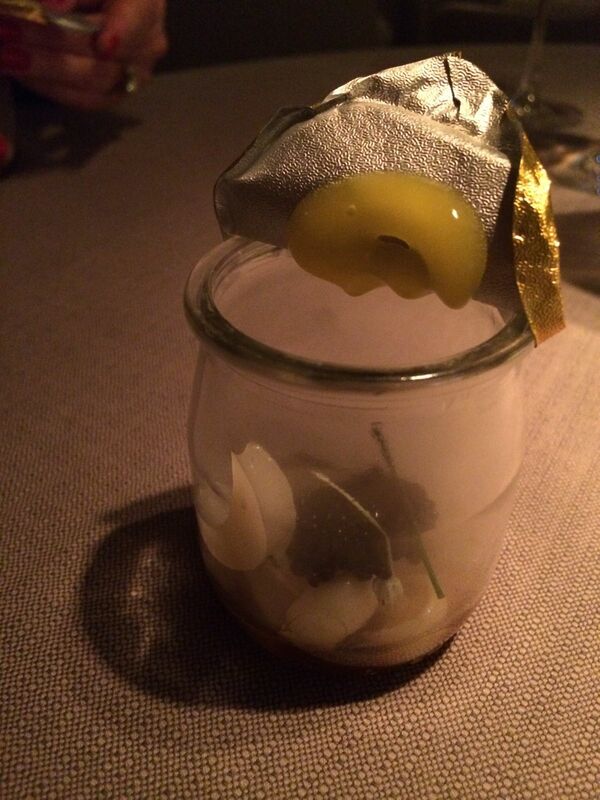 We were captivated by the ingenuity of the presentation and thrilled with the flavors of the bites. Click the arrows on the pictures above to see more. There were two menu options at Grace: Fauna and Flora, thus providing an option for both the vegetarian and non-vegetarian diners. The Keeper Team chose both menus, so that we could taste all of the Chef's creations. How else could we tell Chef Ben what a treat he was about to experience! 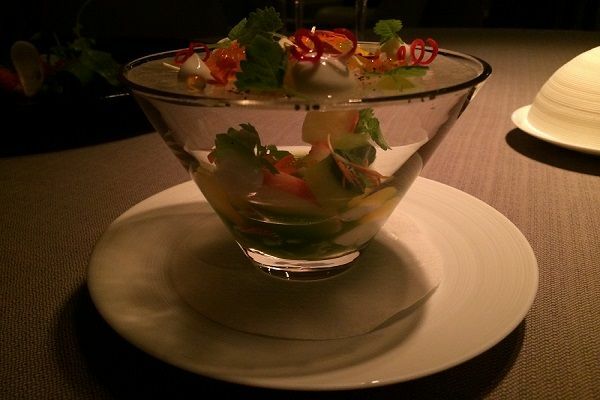 In this post, the first set of dishes are a few from the Flora menu, and the second set are from the Fauna menu. 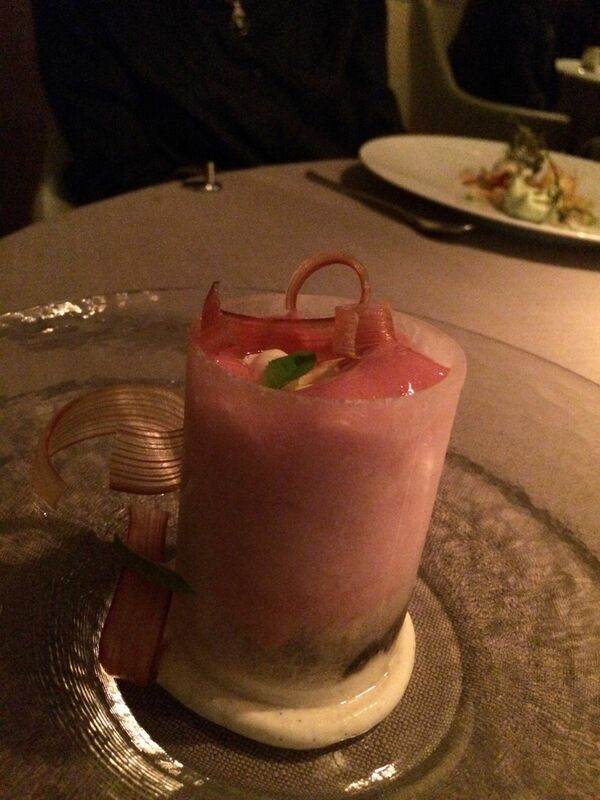 This Cod dish is the beginning of some of the creations served on the Fauna Menu. Of course, the wine list was a critical component of the meal. We saw that the wine list at Grace was carefully selected to complement the creativity and diversity of the Chef's creations. It is always wonderful to see the "front and back" of the house working so closely together so that the dining experience is at its best. We made two selections and asked our Sommelier to open both and serve them side by side, so that we could pair them throughout the multiple course meal. 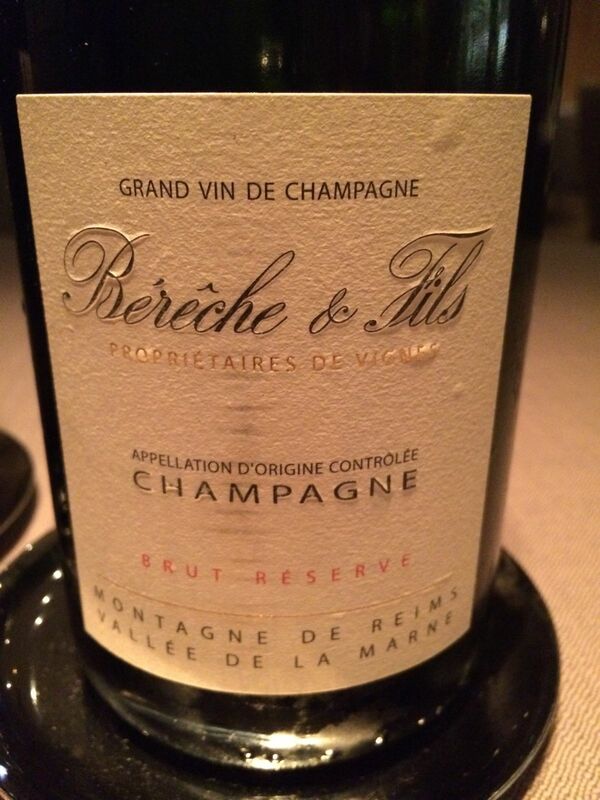 We spotted the Bereche & Fils Brut Reserve Champagne on the list and knew that would pair well as we remembered how lovely it was with our San Sebastian meal at Mugaritz. 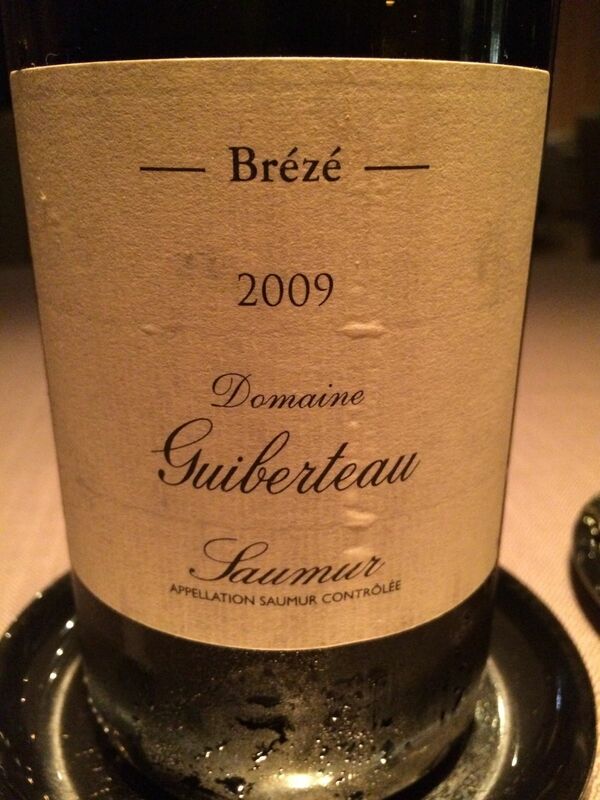 We were thrilled to see 2009 Domaine Guiberteau Breze on the list. The wines of this Loire Producer were introduced to us by two Keeper wine Friends, Peter Wasserman of Becky Wasserman Selections and Rajat Parr of Michael Mina Group. We would try a wine if either Peter or Raj recommended, but when both recommend a producer, you know it can't be missed. This wine had so much minerality, which was perfect with the food presentations, but also had a depth and length that did not stop giving through the entire dinner. Thanks to Chef Philip Speer, Uchi Restaurant Group, we were honored with a trip to the kitchen so that we could see where Chef Ben would be working during his stage. We were very impressed at the quiet and controlled demeanor in the kitchen. The kitchen staff was precise in their efforts, keeping everything in its place. You could see that everyone had their area of responsibility, and they carried that out with perfection. We were drawn to this wall in the kitchen--you can even see the order and neatness in how the ingredients are stored. We can't wait to see what new techniques and creative ideas Chef Ben will bring back after working in the Grace kitchen. We so enjoyed our dinner at Grace from the moment we walked in until it was time to go. The service team was outstanding; our every wish was fulfilled seamlessly. We thank the entire Grace team for adding to our Life Tastings!